The full working environment is designed as web application, offering the user a free choice of his favourite input device (PC, tablet, smartphone) and working conditions (location and time). An intuitive and fast to learn user interface allows the editor to concentrate solely on creating the contents. 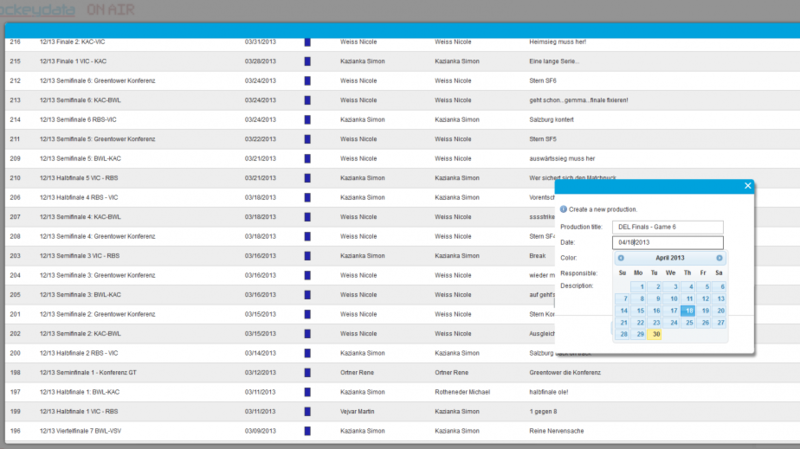 Several different security levels and access authorization are supported, so that multiple users can do their preperation work at the same time and work parallel in their respective productions. 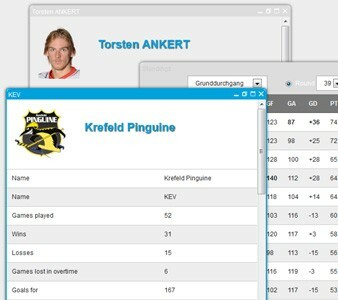 hockeydata is Austria’s leading software provider in sport statistics, multimedia display systems and live television graphics during sports broadcasting.